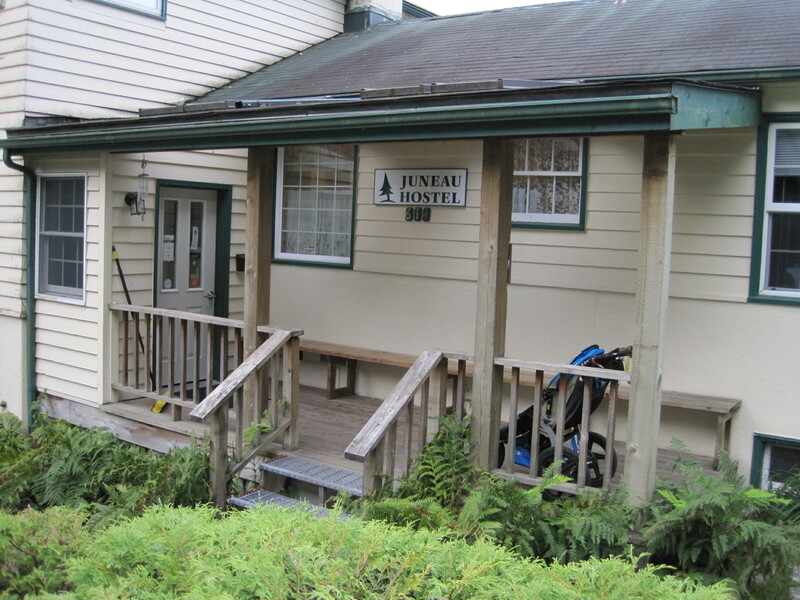 My sister’s boyfriend had plans to work in Juneau for the summer, (2009) to save money for the road trip to South America that they had planned to embark on later that year. Elizabeth told me she was going to visit Brady, and invited me to tag along. Since I had a decent amount of vacation time (and no idea how I was going to use it) I quickly agreed to take the journey north. I started to get excited, and for once, had the motivation to research my destination. As to not impose on all of their time together; I made plans to leave our 49th state earlier than Elizabeth, to visit friends in Los Angeles. 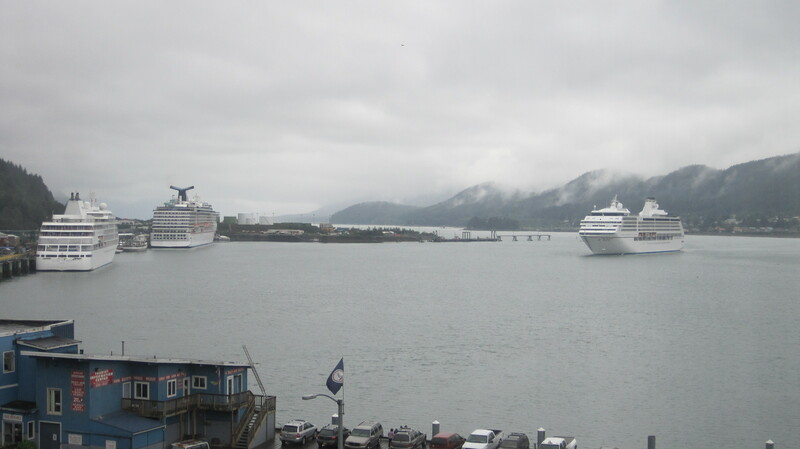 Ten days in Juneau, and four in LA were roughly scheduled. 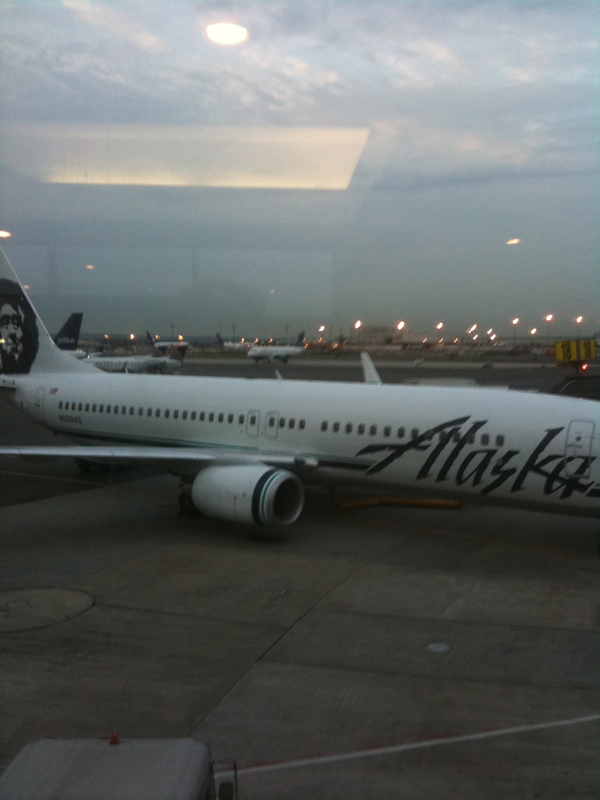 I dubbed the trip: Alaskafornia – and the ‘Great Adventures of Kevo’ began! I convinced (bribed with coffee) my lovely mother to get up at 4am to drive me to the airport. Despite the fact that I was in my mid 20’s… this was the first flight I would take alone (we took a lot of road trips when I was a kid) and only the third plane trip I’d taken in my life. I was a little nervous about getting through security, and convincing the flight crew that my backpack should be considered a carry on. I left Newark, landed safely in Seattle, and soon saw that there was a flight to Juneau leaving in an hour (three hours before my scheduled connecting flight.) I found someone to talk to at the Alaska Air desk, and easily switched the final stretch of my journey to the great north. Elizabeth, her friend Meg, and Brady were all very excited to hear that I’d be arriving sooner than expected. There are no roads into (or out of) Juneau – the only way to get there is by sea, or by air – so the final approach to the Juneau International Airport felt like landing in a different world. The green uninhabited islands, snow-capped mountains, and endless ocean took my breath away. I was nervous and excited as I exited the plane and said hello to a place I had never been before. Elizabeth had informed me that to save more money, Brady was living in a van. He had met a few hippies (as he described them) who had acquired a house-boat, and were looking to unload the 1980-something Chrysler people mover that had been their home. They simply gave Brady the van, expecting nothing in return other than good karma. 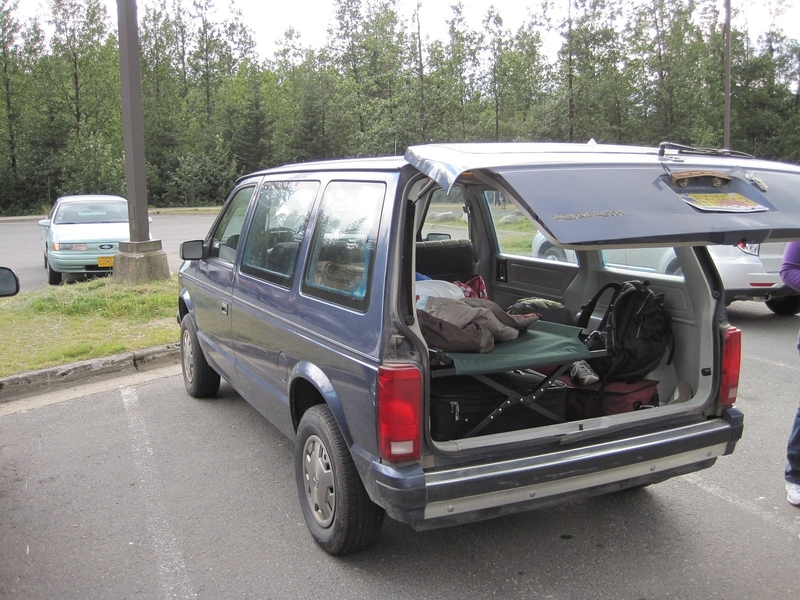 There were no backseats – only Brady’s belongings, and a cot. 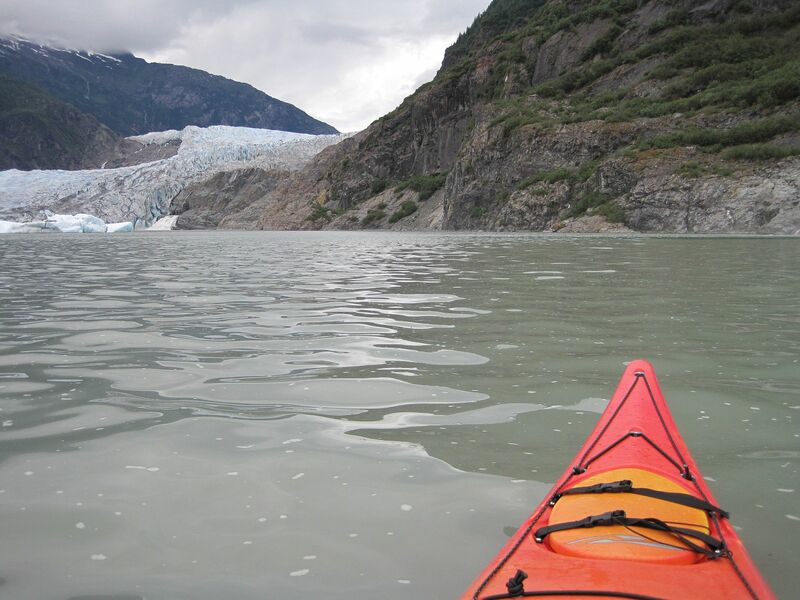 I was informed, as we pulled away from the airport, that we were headed to the Mendenhall Glacier to meet up with Brady’s brother and his wife, (who were also living and working in Juneau for the summer) to take their kayaks out on the glacier lake. I would be in a kayak paddling towards a 13 mile long, 200 year old block of ice within an hour of landing in the state… clearly setting the pace for the next week and a half in Alaska. There were introductions, awe inspiring views, and worried text messages from my mom and girlfriend (I forgot to let them know I landed… oops.) 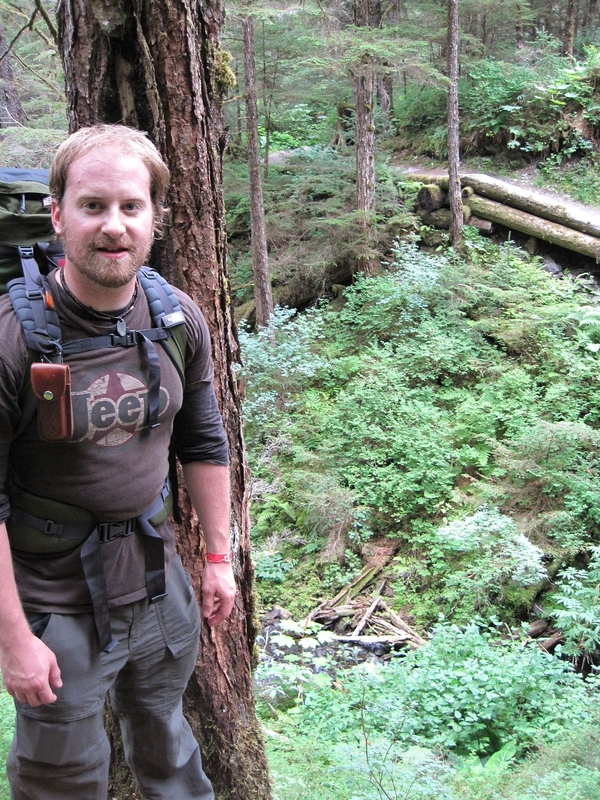 We went inside the glacier visitor’s center to learn a little bit about our surroundings. 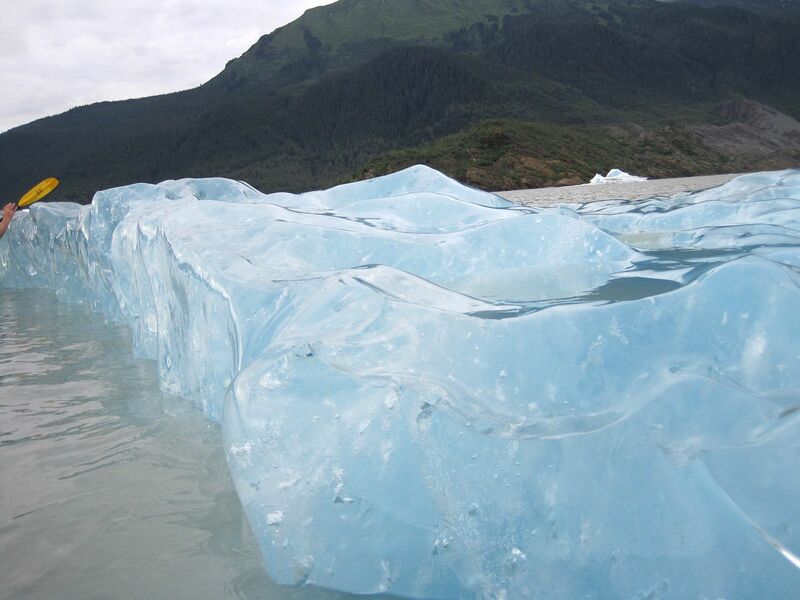 The Mendenhall is one of many glaciers that are part of the Juneau ice field – a 1,500 square mile area of ice that sits just north of Juneau and extends into Canada. For more info on the ice field click here. Is the Compass really a Jeep, thing?